As chemical components used in car maintenance, brake fluids and power steering fluids are crucial in optimizing car performance. Even though they share similar characteristics, they are far from being alike. This article provides the distinct differences between the two. 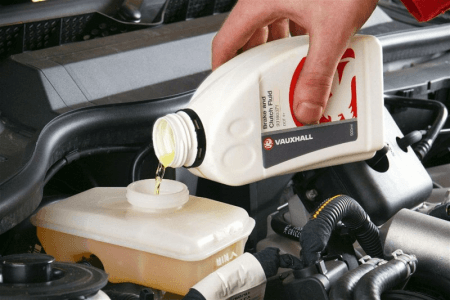 Essential for car maintenance, brake fluid is a type of hydraulic fluid that powers up the components of a vehicle’s braking system, including the hydraulic clutch and the hydraulic brake. It serves as a lubricant and an anti-corrosive agent for all movable parts of cars, trucks, bicycles, and motorcycles. Brake fluid mainly acts as an incompressible medium that amplifies the braking force of an automobile. Most brake fluids available on the market are made up of mineral oil, glycol-ether, or silicone. Power steering fluid is a low viscosity hydraulic fluid used in a vehicle’s power steering system. Mainly functioning by adding enough pressure to the pump, power steering fluids are crucial in optimizing the performance of a vehicle’s power steering system, which gives drivers more control over the steering wheel. Just like other hydraulic fluids, power steering fluid is highly resistant to oxidation. During car maintenance procedures, the level of power steering fluid is evaluated to ensure that the vehicle’s pinion and rack receive adequate support. So what’s the difference between brake fluids and power steering fluids? Firstly, although brake fluids and power steering fluids both function as lubricants, they are used on different automobile parts and systems. While brake fluids are used in a braking system, power steering fluids are pumped into the steering system. Secondly, these hydraulic fluids also function differently. Brake fluids are a type of hydraulic fluid that powers up the components of a vehicle’s braking system, including the hydraulic clutch and the hydraulic brake. 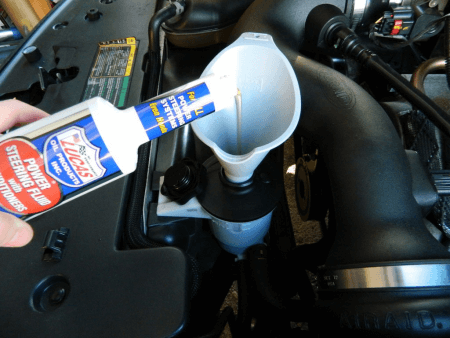 Power steering fluids, on the other hand, function by optimizing the performance of a vehicle’s power steering system by adding pressure to the steering system. Brake fluids are used to optimize the braking system, while power steering fluids are used to help drivers gain more control over the steering wheel. Thirdly, brake fluids and power steering fluids are made up of different chemical components. While the former is mostly glycol-ether, mineral oil, or silicone-based, the latter is oil-based. Lastly, brake fluid is an incompressible medium distinct for its high boiling point. Meanwhile, power steering fluid, although it also has a high boiling point, is a compressible fluid characterized by its low freezing point.